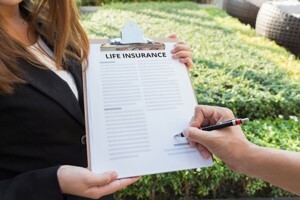 A life cover is not “just another expense” per month. It is also a financial investment that will provide you with some peace of mind, in the event of an unexpected misfortune. In the present it may take money, but with that comes the assurance that things will financially be provided for in the future. Outsurance is one of the companies that provide the service of covering your life. So this will cost you a monthly financial investment that will grow over time. Once they approve your request for life cover, you will have cover. Get cover for the day you pass away. A limited version – which covers only death. Which was an unfortunate mishap, if it happened in a violent manner or through exterior means. Get coverage if you should develop a life-threatening condition. A wide-ranging one – that insures to compensate you in the event of you developing any of their 40 severe disorders. A basic version – that insures compensating you if you develop any of the 27 serious conditions on their list. Get insured for coverage in the unfortunate event of being left disabled. A detail and alternative profession version – where you will have cover for the possibility of you contracting or experiencing any health misfortune consequential to any profession you find yourself in. There is also the option of getting insurance for all three of the previous areas. Also, you can speak to one of the Outsurance agents, to discuss what will suit you and your family’s needs the best. And they will help you with your life insurance application. So in each of these areas, you have the choice in how long the period should be that you would like to have insurance. You should not be younger than 18 years or older than 65. A nurse that can come to your personal address, to take any blood samples that may be necessary.